Summary: Researchers report medications that boost the effect of naturally produced opioids may be better at reducing anxiety and fear than receptor binding opioids. When monitoring Parkinson’s disease, SPECT imaging of the brain is used for acquiring information on the dopamine activity. A new study conducted in Turku, Finland, shows that the dopamine activity observed in SPECT imaging does not reflect the number of dopamine neurons in the substantia nigra, as previously assumed. One of the most significant changes in the central nervous system in Parkinson’s disease is the loss of dopamine-producing neurons in the substantia nigra, causing a drop in dopamine levels in the brain. “Low dopamine level in the brain is linked with the central motor symptoms of Parkinson’s disease, i.e. tremor or shaking, muscle stiffness and slowness of movements,” says Docent of Neurology Valtteri Kaasinen from the University of Turku. In the study, post-mortem neuron numbers in the substantia nigra were calculated for patients with Parkinson’s disease who had been examined with dopamine transporter SPECT before death. NeuroscienceNews.com image is for illustrative purposes only. 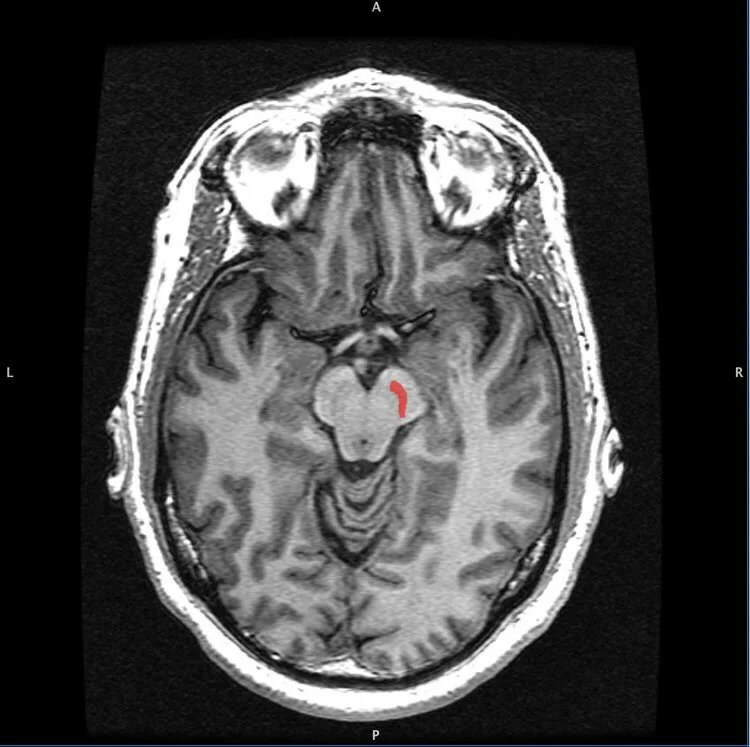 Decreased dopamine activity can be detected with a single-photon emission computed tomography (SPECT) imaging of the brain. This method is widely used in the diagnostics of Parkinson’s disease in Europe and the United States. The study conducted at the University of Turku and Turku University Hospital shows that the dopamine activity observed in SPECT imaging does not reflect the number of dopamine neurons in the substantia nigra, contrary to what has been thought. According to Kaasinen, this is an important result as it proves that the correlation between the number of neurons and dopamine activity is not straightforward. “This must be considered in the future when developing treatments that affect the number of neurons in the substantia nigra. It also seems that SPECT imaging is not a suitable method for monitoring treatment research results in advanced Parkinson’s disease when studying treatments that affect the number of neurons in the substantia nigra,” says Kaasinen. In the study, post-mortem neuron numbers in the substantia nigra were calculated for patients with Parkinson’s disease who had been examined with dopamine transporter SPECT before death. The number of neurons cannot be calculated during a patient’s lifetime since the substantia nigra is located deep within the midbrain where biopsy is impossible in vivo. University of Turku “Scientific Discovery May Change Treatment of Parkinson’s.” NeuroscienceNews. NeuroscienceNews, 23 March 2017. University of Turku “Scientific Discovery May Change Treatment of Parkinson’s.” http://neurosciencenews.com/substantia-nigra-parkinsons-6285/ (accessed March 23, 2017). Objective: To examine possible associations between in vivo brain dopamine transporter SPECT imaging and substantia nigra pars compacta (SNc) neuronal survival in Parkinson disease (PD). Methods: Nigral neuron numbers were calculated for 18 patients (11 patients with neuropathologically confirmed PD) who had been examined with dopamine transporter (DAT) SPECT before death. Correlation analyses between SNc tyrosine hydroxylase (TH)–positive and neuromelanin-containing neuron counts and DAT striatal specific binding ratios (SBRs) were performed with semiquantitative region of interest–based and voxel-based analyses. Results: Mean putamen SBR did not correlate with the number of substantia nigra TH-positive (r = −0.11, p = 0.66) or neuromelanin-containing (r = −0.07, p = 0.78) neurons. Correlations remained clearly nonsignificant when the time interval between SPECT and death was used as a covariate, when the voxel-based analysis was used, and when only patients with PD were included. Conclusions: This cohort study demonstrates that postmortem SNc neuron counts are not associated with striatal DAT binding in PD. These results fit with the theory that there is no correlation between the number of substantia nigra neurons and striatal dopamine after a certain level of damage has occurred. Striatal DAT binding in PD may reflect axonal dysfunction or DAT expression rather than the number of viable neurons.